at Birkbeck College, University of London is about to undertake an important new research study in Denmark, Finland, Norway and Sweden next Spring. With Matthew's permission, I'm replicating the note he sent me with all the details and further background. If you can help, please contact Matthew directly, or leave a comment on my blog. I am writing to ask if you would be willing to assist in a research project that I will be undertaking in Denmark, Finland, Norway and Sweden in March / April 2012. The project is summarised and discussed in more detail below, but put at its simplest it will be exploring the ways in which HIV activists and others have sought to reform criminal law concerning HIV transmission and exposure in the region. My aim is to improve our understanding of advocacy and activism in this field, and to gather evidence about what works and what doesn’t. Although we have an increasing amount of data about the effects of criminalization, there is very little evidence about how civil society has responded to criminalization, and I am hoping this project will not only provide that evidence but assist people elsewhere in their reform efforts. As explained below, the research will be conducted primarily through interviews with those who have been involved in reform efforts, and I would like to speak to as many people as possible during my time in your countries. I am funding this research project myself (though I am hoping to get a travel grant from the Wellcome Trust). It is not sponsored in any way. I very much hope to hear from you soon. The project will explore recent initiatives by Scandinavian civil society organizations and activists to the criminalization of reckless and negligent HIV transmission and exposure in the region. Despite having levels of HIV prevalence which are among the lowest in Europe, survey data indicates that the Scandinavian countries have among the highest rates of criminalization (as measured by convictions per 1000 people living with HIV (PLHIV)). This is not only counter-intuitive, when research shows that these are countries which have lower than average imprisonment rates and that their citizens are, in general, less punitive in their attitudes towards offending behaviour than those elsewhere in Europe, it ignores UNAIDS best practice guidance on the use of criminal law as a response to the epidemic. The principal goal of the project is to contribute to our understanding of the effectiveness or otherwise of law reform strategies in the field of HIV and public health. If, as experts agree, the inappropriate use of criminal law impedes HIV prevention efforts and contributes to the stigmatization of PLHIV, it is important to understand the dynamics of, and barriers to, legal reform. The European region is suffering from an epidemic of criminalization. Across the continent, people living with HIV are being investigated, prosecuted, convicted and imprisoned for non-deliberate HIV exposure and transmission, contrary to the best practice guidance of UNAIDS and other international organizations concerned with preventing the spread of HIV and promoting the health and human rights of PLHIV. It is an epidemic that is impeding efforts to normalize HIV and reduce stigma and to affirm the importance of shared responsibility for sexual health. It is an epidemic whose impact is felt especially by people who already experience particular social and economic exclusion and vulnerability. It is an epidemic that, in theory at least, has created some 2.2 million potential criminals in Western and Central Europe. Although all but a few countries in the region have laws which criminalize HIV transmission and exposure, the scale and intensity of their enforcement is not evenly distributed. Based on available data relating to HIV prevalence and convictions per 1000 PLHIV, there is a marked difference between the Scandinavian countries (Denmark, Sweden, Norway and Sweden) and those further south. 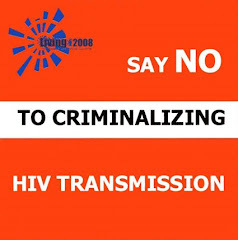 The former, despite having significantly lower HIV prevalence than the European average, have a markedly higher rate of criminalization. Sweden and Denmark, for example, have conviction rates of 6.12 and 4.66 per 1000, while the rates for France and Italy are 0.1 and 0.74 respectively. There is a number of possible explanations for this increased resort to criminal law in Scandinavia compared with elsewhere (including higher levels of inter-personal trust, greater confidence in judicial institutions, and a tradition of robust public health laws), but whatever the causes are, it has resulted in concern among HIV activists and civil society organisations (CSOs) in the region, who have – over the past few years especially – mobilised in efforts to repeal and reform laws and / or constrain their enforcement. what the results and consequences of reform efforts have been to date, and what they anticipate for the future. I have worked and published in the field of law and HIV for more than a decade, specifically in the area of criminalization. For the past five years I have been involved at an international level with work on this subject: as a consultant for the EU Agency for Fundamental Rights, HIV in Europe, WHO Europe and UNAIDS, and as an invited expert at their criminalization policy development meetings, and most recently as a member of the Technical Advisory Group for the UNDP-led Global Commission on HIV and the Law. As a contributor to the policy development work of these organisations I have contributed to a number of important outputs, including a report on a rights-based approach to HIV in the EU (2010), the WHO Europe Technical Consultation on the Criminalization of HIV and other STIs (2007), and the UNAIDS Criminal Law and HIV Policy Brief (2008). For the Global Commission I was commissioned to write the Report on Criminalization of HIV Transmission and Exposure across the world. In October 2011 I was invited to give evidence to the Working Group of the Norwegian Law Commission that has been tasked to consider reform of its transmission and exposure laws, and in November 2011 I gave a plenary lecture on this subject at an international sexual health conference in Stockholm. In addition to this policy work I have published widely in peer-reviewed journals, both alone and with colleagues in other disciplines, and have written a monograph on the subject. All of this has impressed on me the importance both of understanding the dynamics of law reform in the field, and of developing a stronger, empirically grounded, evidence base. I see this project as a small, but significant, attempt to do both these things. The research will be qualitative, based primarily on semi-structured interviews and supplemented by policy and other documentation produced by respondents and their organisations. The analysis will be undertaken using grounded theory (Glaser and Strauss, various dates), coding the data in order to generate concepts and categories so that a theory of law reform initiatives in this particular area may be developed. It is also intended that the original interviews be made available (subject to participant consent) as a non-academic activist resource. As explained above, the project is highly relevant to policy and practice and will make an original and significant contribution to our understanding of the ways in which HIV activists feed into and influence (or fail to influence) law reform. In using the data to develop a theory of law reform efforts in the particular area of HIV criminalisation it is hoped that the research will provide a resource of use to researchers interested in health policy making and activist participation more generally; in making available the raw interview material as audio, it is hoped that the research project will provide a resource for activists in other countries and regions who wish to learn about the experience of the Scandinavian peers.